I have wanted to write this blog post for a while now. These past 10 days in beautiful Bali with some very special Embracing Health Detox Retreat guests has highlighted this topic for me again, and I am lucky to have found a quiet moment to write it down. The truth about leaky gut is this: leaky gut is something that is curable; it does not have to be a life sentence, or something you will always have because you ‘caught’ it. You do not have to have it forever. It is actually very easily remedied once the causative factors have been identified, removed and the damage, or ‘leakiness’ addressed and repaired. First of all, what really is leaky gut? The lining of your gut is a very delicate and specialised thing. 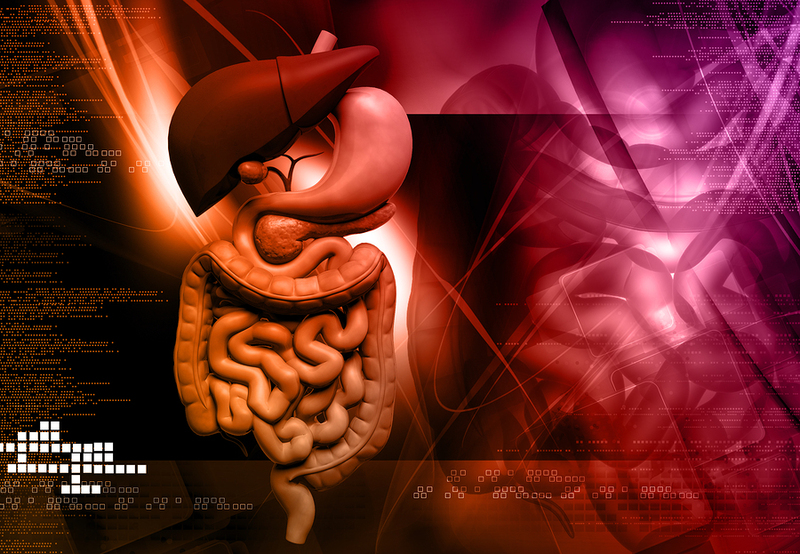 A single cell separates your gut contents from your blood stream. Between each cell there are gateways known as gap junctions. These gap junctions control what leaves the gut, and enters the blood such as very small nutrient particles. Larger particles are too big to be passed through these gateways, remaining in the gut until they are either broken down into small enough components to pass through, or passed out of the bowel in the form of waste. If an aggravating factor (such as a food allergen, bad pathogen, poor diet, stress or medication) causes the gut to become inflamed, these gap junctions begin to widen and larger and larger particles ‘leak’ through into the blood stream. When this happens the white blood cells in our blood notice these big foreign particles and mount an immune response. The immune system is alerted, and informed that there are foreign invaders in the blood, similar to an infection from a virus or bacteria. The immune system then sets to work ‘killing’ the foreign partial. They break it up, transport it via the blood stream to the liver where it is filtered and detoxified, until it is finally returned to the elimination systems of the body, and removed as faecal material or as urine. So what’s the problem? This is a fair enough question to ask. The process above sounds like the body has leaky gut well under control. But the relentless leaking of large particles into the blood stream, the constant activation of the immune system, and the continual need for extra filtration of the blood through the liver puts an enormous burden on the body as a whole. With constant immune system activation, food intolerances are likely to develop. If there is a predisposition for an autoimmune condition to develop, for example there is a family history of autoimmunity, constant immune activation can encourage this disease to manifest. Inflammation also increases leading to a worsening of inflammatory conditions such as fibromyalia, arthritis, etc. The liver struggles to detoxify an ever-increasing burden of waste as toxins leak back into the blood time and time again in a continuous cycle. The other organs of elimination may try to relive the burden of toxic overload, and skin conditions such as eczema, dermatitis and acne can develop. As the body becomes more inflamed, more toxic and more exhausted, your energy levels can quickly suffer. The good thing is this is not a life sentence- it is easy enough to fix; you just need knowhow and commitment. And how is that done? First of all we need to identify the aggravating factor (or factors) of the leaky gut. As mentioned above it might be food allergens in the diet, a bad pathogenic infection, a poor diet, stress or a particular medication. Once the factors have been identified they need to be removed or managed. Once the trigger has been dealt with, healing can begin to occur. This will often involve a low allergenic, healthy diet, and various naturopathic supplements depending on what is going on in your body. If there is a pathogenic infection, that needs to be eliminated. Naturopathic healing will often include things like slippery elm, the amino acid glutamine, glucosamine, aloe vera, mastic gum, probiotics, liver support and detoxification, and immune support. Diet and lifestyle changes will usually be necessary. With these elements combined into a healing protocol designed specifically for your needs, the immune system will be supported and encouraged to return to normal activity, the burden will be taken off the liver, and liver support provided, the gap junctions between the gut cells will be tightened, the inflammation reduced and gut function will return to normal. So there you have it. Leaky gut is not something you have to suffer with all your life. Just because you were ‘diagnosed’ does not mean you will have it forever. It is very easily treated. Likely you are looking at about 2-3 months of treatment, depending on your case. So if you have leaky gut, or think you have leaky gut, and you want to do something about it, please send me an email at rhianna@embracinghealth.com.au because I would love to help you, and your gap junctions. Good description of leaky gut! So many people are unaware that they have leaky gut and so many don’t know how to heal once diagnosed. Good info! Thank you for the feedback Adam! Leaky gut has been tied to so many ailments. So thankful that awareness is spreading and that people know that this is curable! A healthy and happy life awaits!